While London has made headlines for having banned Uber, Latvian parliament passed an innovative ridesharing law, allowing and regulating the industry (including Uber and Taxify). Whereas many developed economies resort to bans and restrictions to deal with challenges posed by the sharing economy, smaller countries like Latvia come up with government-backed initiatives to welcome innovation and IT startup development. The unanimously passed amendment to the Latvian Road Transport Law regulates ridesharing services with passenger cars in the country. The regulation will enter into force on March 1, 2018, providing a legal framework of operation for mobile apps such as Uber and Taxify to offer ridesharing services in Latvia that exist alongside with traditional taxi services. The new law stipulates that ridesharing services can be provided by cars with up to 4 passenger seats. The ride can be offered, requested and approved only through the respective mobile app that also calculates the fare and manages the transactions, with only electronic payments accepted. Regular taxi services will continue to take both card and cash payments. After witnessing Uber’s misfortunes in London and Denmark, Latvian authorities have decided to go the other way and legalize the ridesharing industry. Over the past several years, the Estonian Taxify has gained increasing popularity in Latvia, becoming the leading ride-booking app. However, the new bill is an opportunity for Uber to enter the Latvian market. 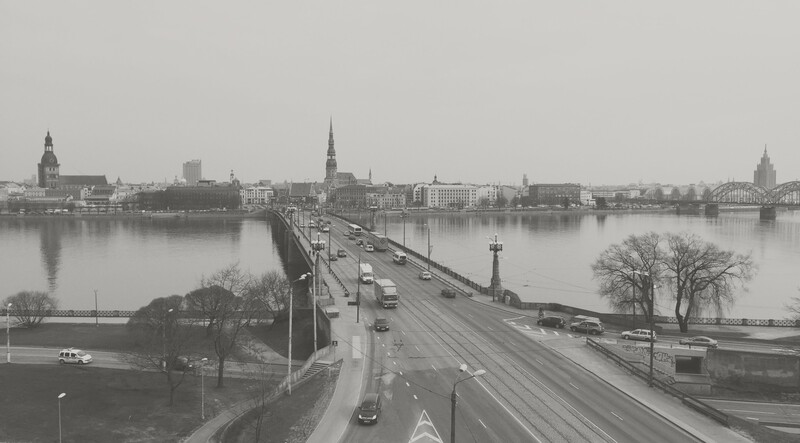 In the light of recent restrictions Uber has experienced in the “Old World,” the small Baltic country sets a digital example with its ridesharing law. Global technology develops faster than regulators can deal with it, posing new security challenges and legal disputes. Many established economies, like Denmark and Italy, see bans and restrictions as a solution, often choosing a strategy that places regulation above innovation. Meanwhile smaller countries like Latvia and its neighbour Estonia welcome sharing platforms and online marketplaces and oversee their operation, allowing a certain degree of self-regulation. Though developed economies, such as the UK and Ireland, can risk resisting the sharing economy, countries like Latvia can’t. They are betting that by supporting new tech-driven initiatives, they are likely to welcome innovative companies and investors, promoting the country as a launch pad for globally competitive startups. This claim is supported by the Latvian Startup law that was put into motion on January 1, 2017. This law with its tax breaks for startups is unique in Europe and is expected to double venture capital investments in young Latvian businesses. More initiatives to support startups are planned for the near future, such as a startup visa to facilitate the process of hiring talents from outside the region. OECD 2018 Summit on Transport Safety and Security will be held in May under the Presidency of Latvia, demanding an active governmental support for several cutting-edge automotive industry initiatives. For instance, a new self-driving car test track was opened in Riga, and public road testing for autonomous cars and public transport buses is in preparation for 2019. Hopefully, these programs will help to promote and develop innovation, which is so desperately needed in the small country brimming with unrealized potential. One thing is clear – there is an evident determination to increase Latvia’s competitive capacity alongside other innovation-friendly locations across the globe. By Ieva Baranova, who is a writer at Truesix.co as well as a passionate tech + travel journalist. She dreams of writing a book about a yet undiscovered corner of the Earth. Image from here.